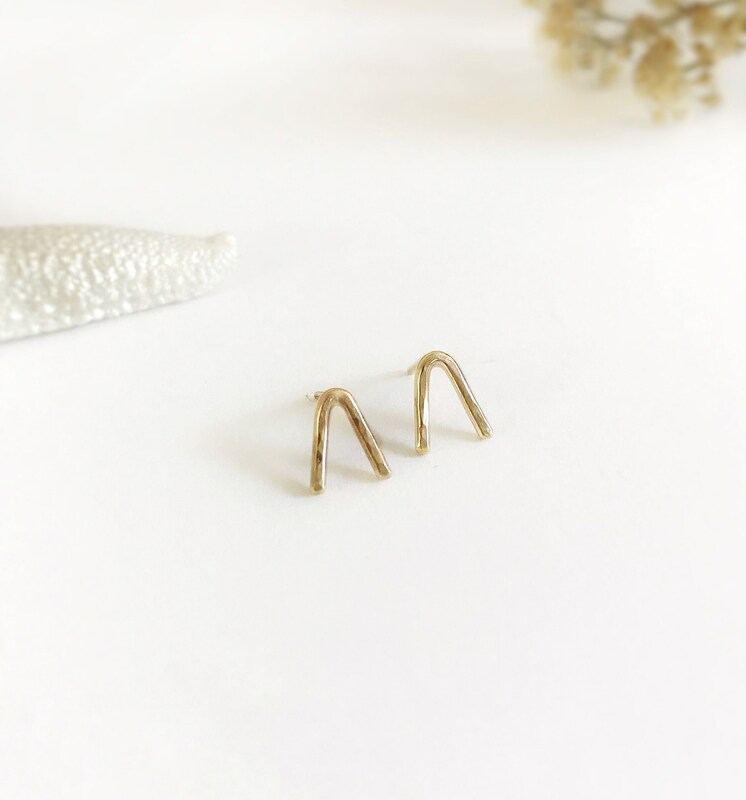 Beautiful Minimalist earrings in 14k gold and handcrafted for make different fashion style and special earrings, solder the ear pins in 14K gold too for sensitive skin. It's perfect for you. These earrings are dainty and modern for daily use , taking the edge away and are highly polished. *This earrings is hand cut, fired, shaped, hammered and polished!